Is A Glass Screen Protector A Worthwhile Addition? What is the glass on the LG Watch Urbane made from? Is it Corning Gorilla Glass? I baby my devices and I am very careful with them. All of my phones and tablets have screen protectors and heavy duty cases. I am not clumsy at all, but I like to be preventative for any potential mishaps that could arise. 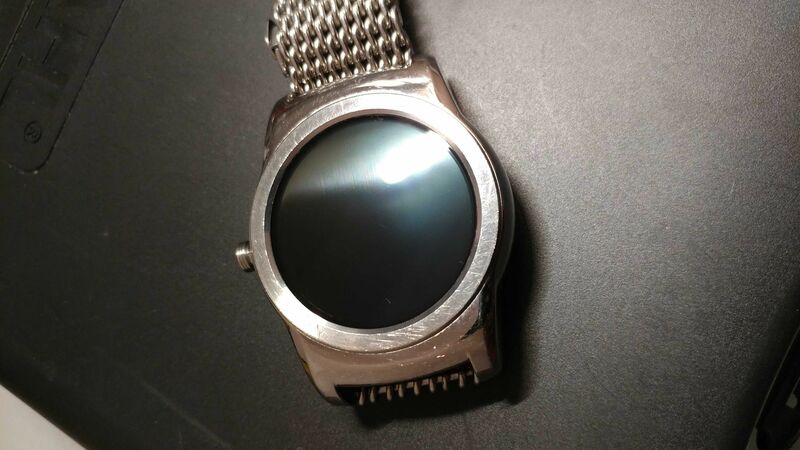 My dilemma is that I don't know whether or not I should put a glass screen protector on my watch because it will certainly change the look of it and I'm not sure placing the screen protector on it is actually going to protect it much more than it is already protected on its own. Please tell me your thoughts. Thank you. I also baby my devices. Cases and glass screen protectors on everything. I've had my Urbane for quite awhile now. I only used a screen protector for a couple of weeks. It was given to me so I tried it. No difference in feel but I could see the edge all the way around. It didn't stick well so I removed it. I wear my watch everyday to work, the gym, everywhere. My screen doesn't have a nick or scratch on it. Maybe the glass is awesome, maybe I've been fortunate. I'll never put a screen protector on it again though. Would be nice if there were some type of coating or removable case type apparatus that protected the bezel. There are some nicks and scratches there. Thank you so much for your reply. It's hard to see - does that image show the glass screen protector on? Do you have a photo that shows the spacing around it (a little better defined)? I've seen some protectors that have a larger gap than others. Is yours one of those or much closer to the edge? Ultimately, I think that having the protector is just more wise, and safe. Why did yours come off? Is there maybe something that can be sprayed onto the screen that would protect it or is that not a wise idea? That shot just shows the marks around the bezel. There's no screen protector in that picture. It would have been visible because there was quite a gap. That may be the reason it began to come off. I think it may have caught on something. When it raised a little I just took it off. If you can get one that's s good fit I say go for it. I'm sure there are many more choices now than when I used one. I've gone so long without one at this point I'm not going to bother getting another one. Do you know the name of the one you had? Can you check your order history and please let me know? Thank you. It was given to me. I can't recall the brand. Was it easy to remove? Did it leave a residue? Did the screen pull or damage during removal? This is what I used. I beat up watches and for me it was a no brainer to get one. $9 for the insurance of not jacking up the screen. You can not tell that it's even installed and no mess if you need to take it off. I have had it for a year and the only marks are on the bezel. I don't think you'll need a screen protector, the case is what is taking the hits and will get scratched, not the screen. If anything was needed, this would be something to protect the case. Note : I'm wearing the watch upside down. That is the screen is not on the top of my wrist, so the watch is very exposed this way (as soon as I lay my hand on a table or any other surface, the watch gets in contact) and my screen is pristine. Why my Samsung Note 2 is shutting down with a battery 99%charged ?? What is the best tablet to buy my dad, who is absolute beginner, doesn't even have a smart phone?